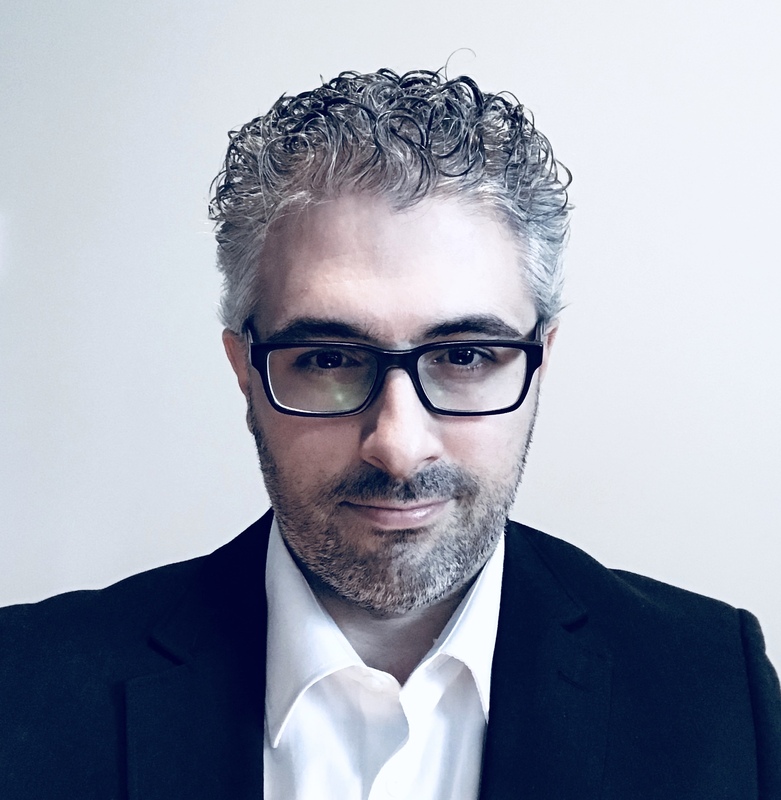 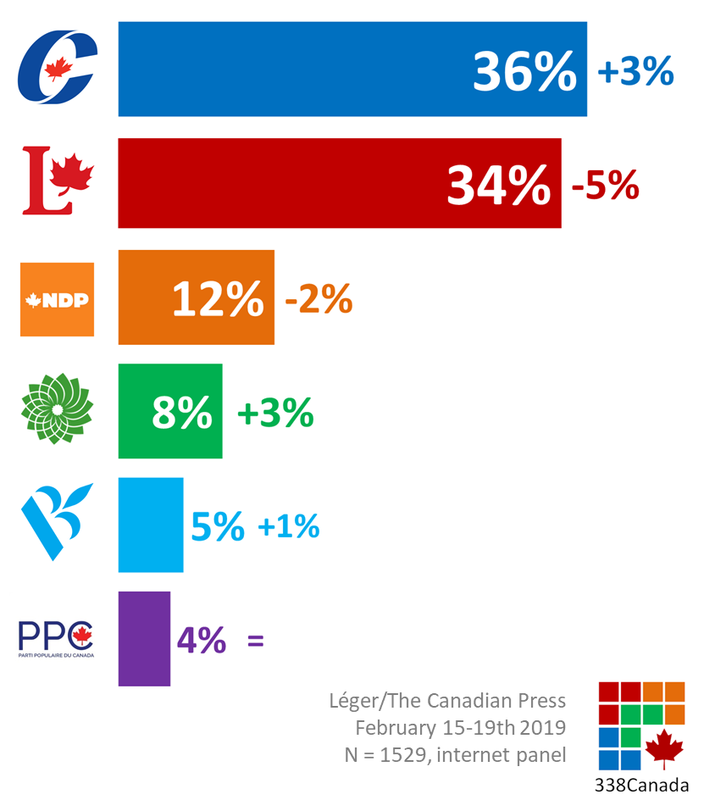 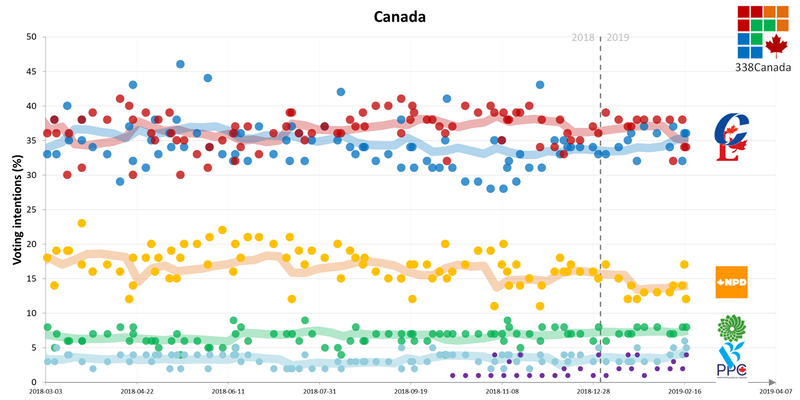 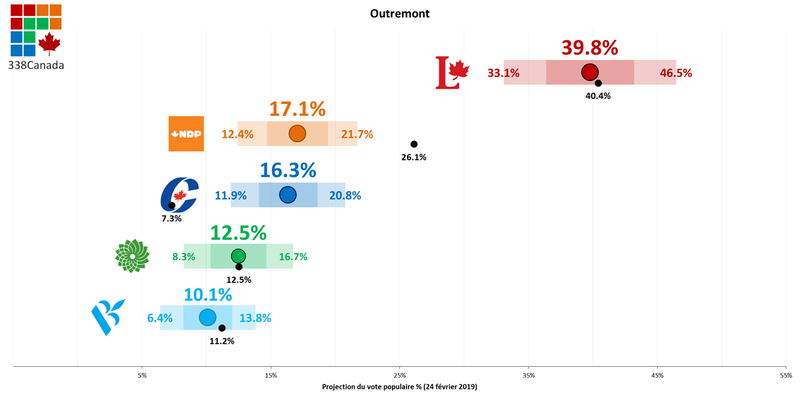 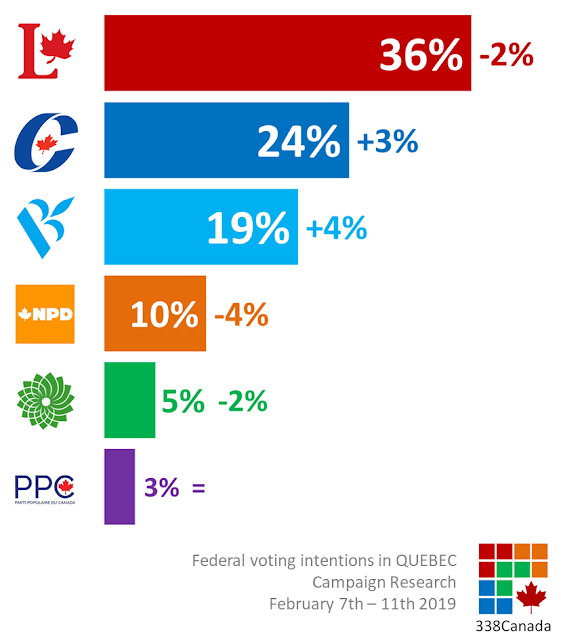 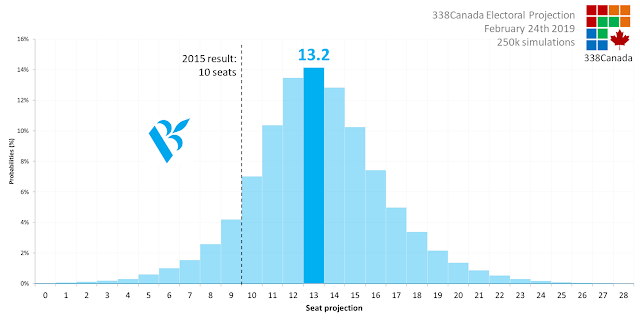 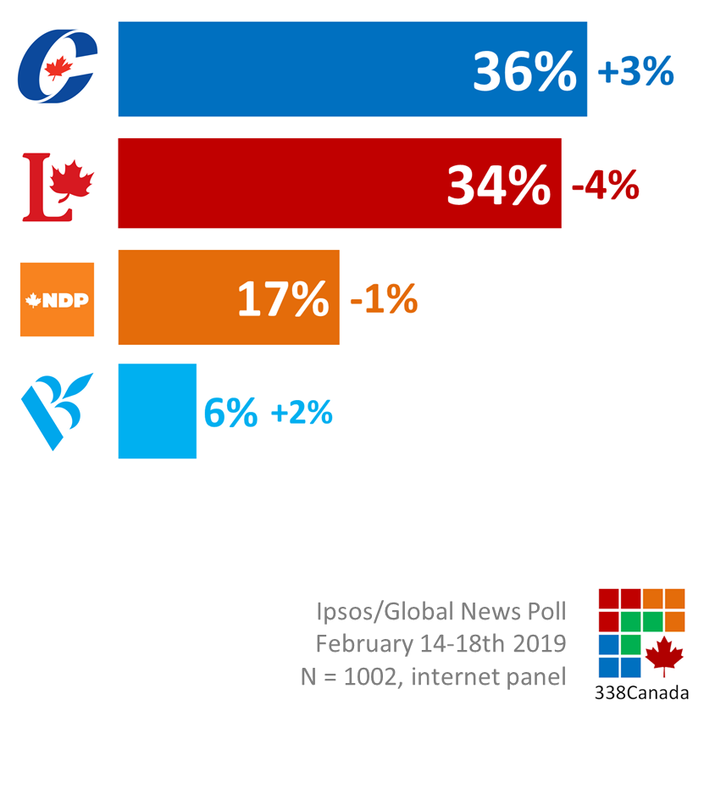 New polls were added to the 338 Projection this week: the Nanos weekly tracker and the Léger/Journal de Montréal Québec poll. 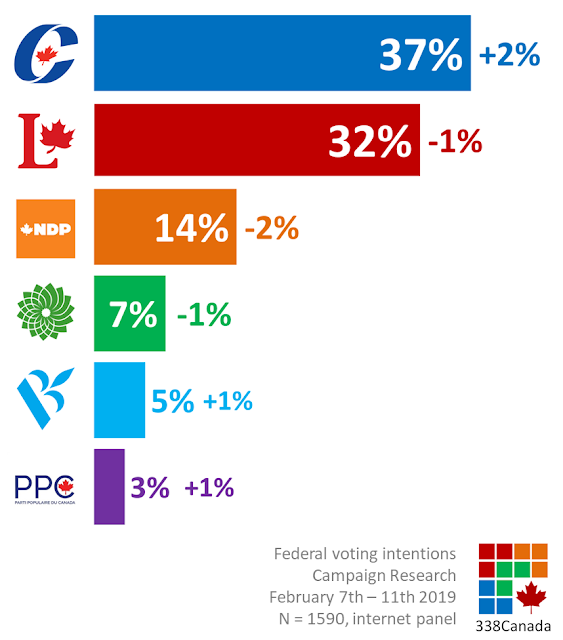 Here are all the national polls from the last twelve months. 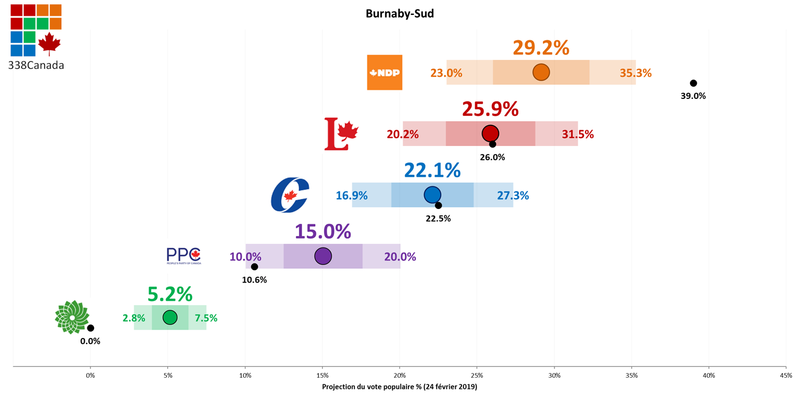 The complete list is available here. 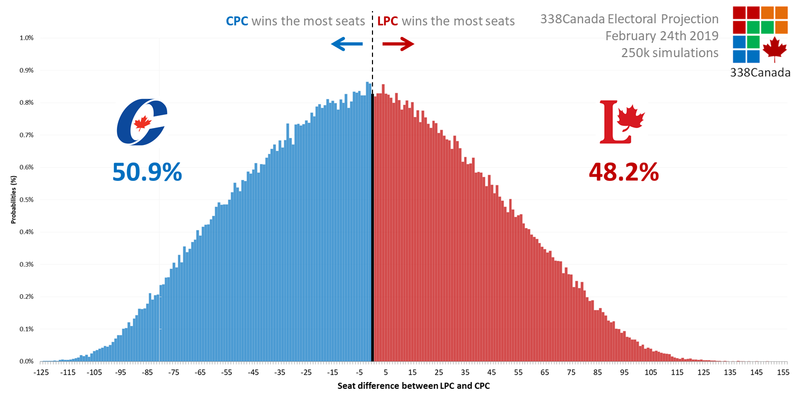 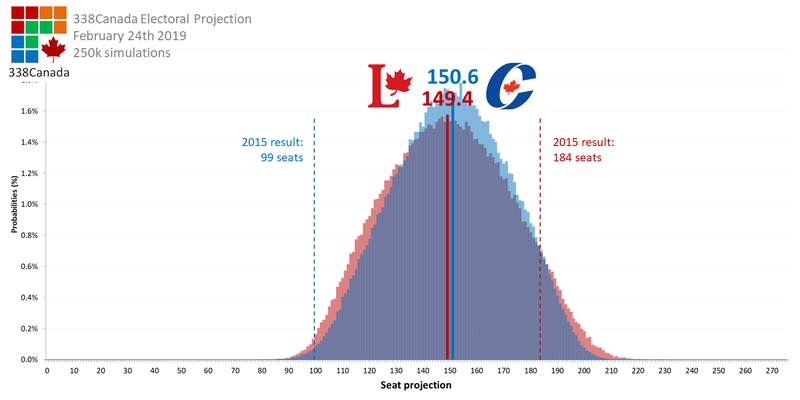 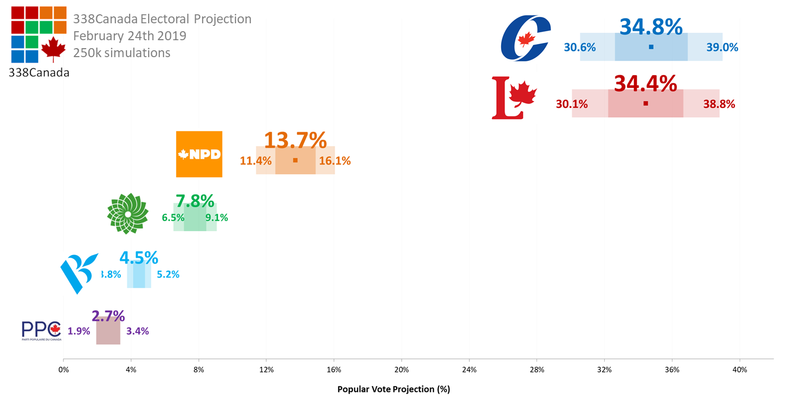 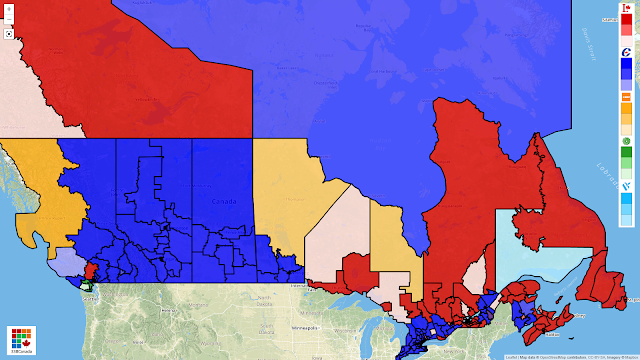 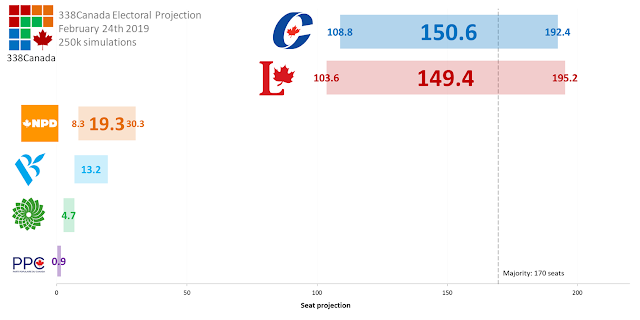 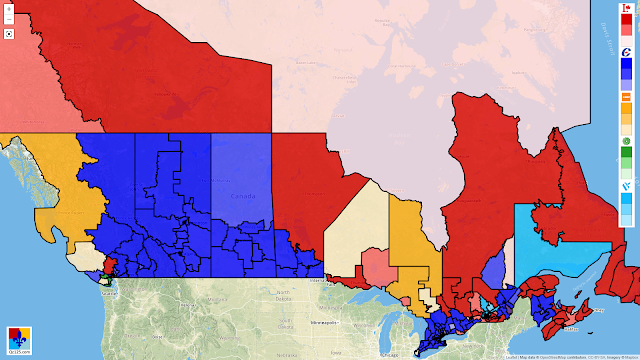 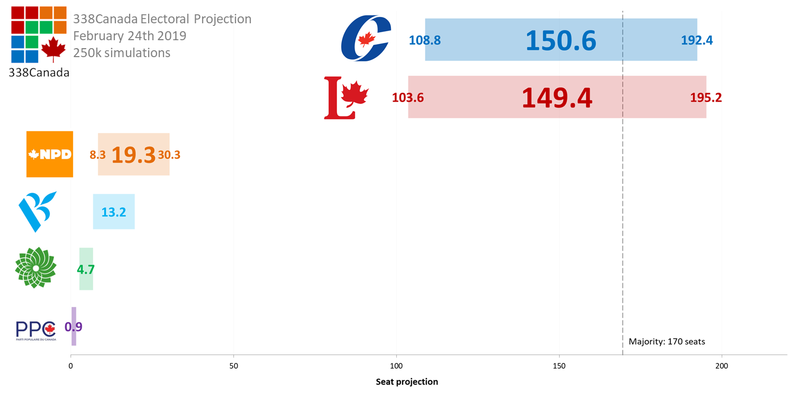 We still have a significant overlap between the Liberals and Conservatives for the seat projections. 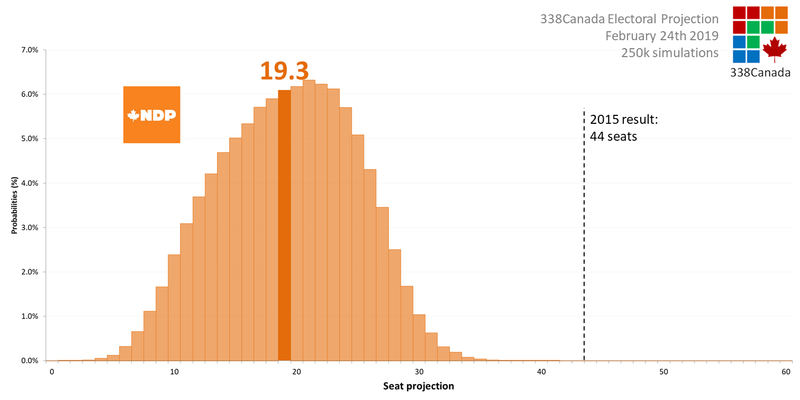 The threshold for a majority is 170 seats. The Liberals win the most seats in two thirds of all 100k simulations. 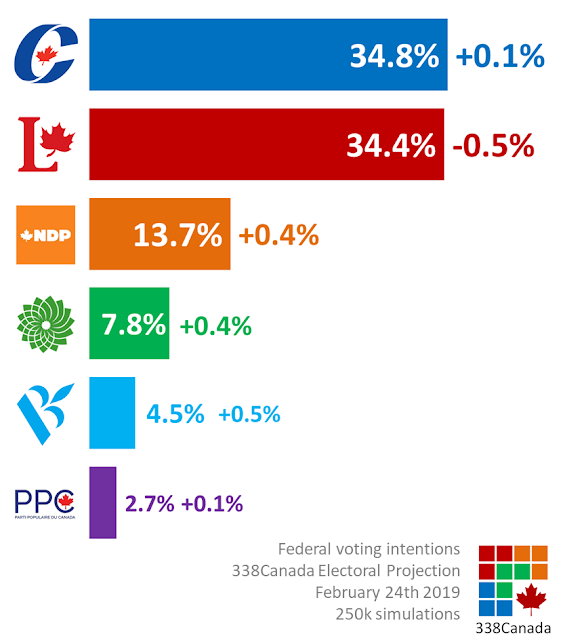 The Conservatives win the remaining third.